While some of us wake up with the same question on most mornings, How to get rid of constipation ? Getting a bowel movement the first thing in the morning after waking up may be a routine to a lot of people. For all those who are seeking an answer to the question, ” how to get rid of constipation ?” you have come to the right place. read on to know the home remedies that would provide you instant relief in constipation. Constipation refers to painful bowel movement that is caused due to improper diet, medicinal side effects, hormonal imbalances and metal toxicity. In today’s world, constipation has become a very common problem. Our hectic schedule doesn’t give us much time to see what we’re eating and most of us end up eating a diet that is deficient in nutrients. Most commonly, the diet we eat is deficient in roughage. The roughage or fiber helps to ease bowel movement. Whole grain cereals, fresh fruits and vegetables, wheat bran, legumes and seeds contain a high quantity of soluble dietary fiber and they help good bacteria to grow in the colon. This in turn helps in the smooth bowel movement and prevents constipation. There are various prescription drugs that are available in the market to cure constipation, but they also cause a lot of side effects. Not only do they affect the liver adversely, they can’t be used for a prolonged period of time. There are many people who suffer from consistent constipation, especially old people. There are many home remedies for constipation. If you are among those who keep wondering on how to get rid of constipation, here are some home remedies for instant relief in constipation. Infants usually suffer from constipation when they are introduced to solid food. Insufficient intake of water, formula milk and lactose-intolerance are some of the other reasons of constipation in infants. It is very difficult to calm an infant when he/she is suffering from constipation. The little ones cannot express themselves completely but you can easily make out from their uncontrolled crying and the acute tummy ache; that they are suffering from constipation. 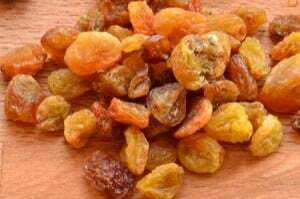 Soak 4-5 raisins in water overnight. Squeeze the juice out of the swollen grapes and give this to your baby. It helps to pass motion very fast. Dry red grapes are much better than green ones to relieve constipation. Castor oil – Mix a few drops of castor oil with the mother’s milk and feed this to the baby. It can also be given with a teaspoon of lukewarm water. This dose needs to be given once a day till the baby is relieved. Spinach Rice – Cook a small quantity of green gram dal with spinach puree and rice. Take a separate pan and add some oil and put the mixture of dal, spinach and rice in to this pan and simmer for a few minutes. This is a very effective home remedy for constipation in infants. 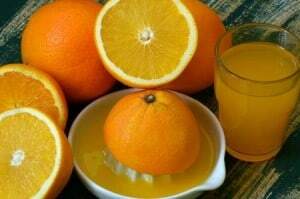 During summers, add some water and dilute orange juice. This is the best way of getting rid of constipation. During winters , have this mix only in the afternoon. Pregnant women are also very susceptible to constipation. They constantly think about how to get rid of constipation. Flatulence, gas and acidity problems are also very common during pregnancy. The major cause of constipation during pregnancy is hormonal change. Increased iron supplements, decreased food and water intake also add to the problem of constipation. Boil some watermelon seeds and make tea with this seed extract. 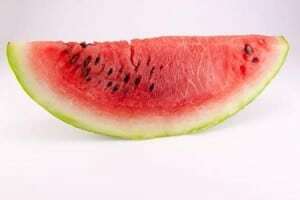 Sipping watermelon seeds tea helps to relieve constipation. Exercise – Regular exercise can help to relive constipation. However, care should be taken to avoid any strenuous exercise and check with your healthcare provider whether exercise is safe for you or not. Coconut Oil – One tablespoon of coconut oil before each meal can help to soften the stool and facilitate easy bowel movement. 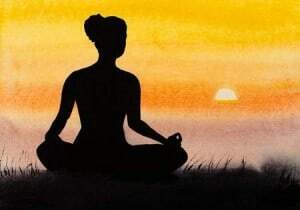 Yoga can help a great deal in relieving constipation. Pregnant women are taught various postures that are helpful while giving birth. These postures are also helpful in constipation. Keeping the knees at an angle of 90 degrees helps to evacuate the bowels. Another pose that is really helpful is the Wind relieving pose. This pose will not only help to relieve constipation, it is also helpful in passing gas. Pregnant women may feel the need to urinate very often. They should never avoid the urge. Use the washroom as often as required. When you sit on the toilet seat, just relax your pelvic muscles. This helps to empty the bladder more fully and also relieves constipation. Before you think of finding answer to the question, “how to get rid of constipation? “. It is important to first find the reason behind constipation. 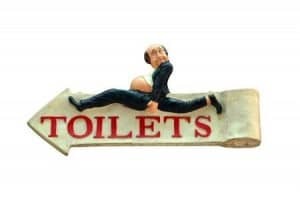 Health disorders such as hypothyroidism, colon cancer, Parkinson’s diseases, improper diet, irregular potty habits, and inadequate intake of water, stress and lack of physical exercise are some of the causes of constipation in adults. Amla Powder – Just take a teaspoon of amla powder with water every day before going to bed. Being a natural laxative, it is really helpful in relieving constipation. 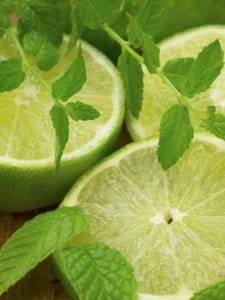 Take a glass of lukewarm water and add one teaspoon of lemon juice and a pinch of salt to it. Drink this every morning on an empty stomach. The cleansing properties of lime and the lubricating properties of salt will help to evacuate the bowels without pain. Flaxseeds – Make a fine powder by grinding some flaxseeds along with a few sesame seeds, 2-3 sunflower seeds and a few almonds. Take one tablespoon of this mixture everyday to get rid of constipation. 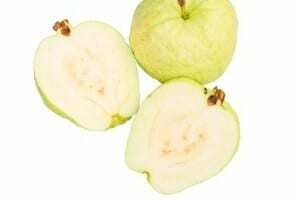 Consuming guava seeds can help to relieve constipation, since they contain very high fiber content. Take a glass of hot milk and add a spoon of ghee to it. Drink it every night before you go to bed. This is an age old home remedy or constipation. Methi Seeds – Soak a few methi seeds overnight and drink this water in the morning. This is a very effective Indian home remedy to relive constipation. You may be interested in reading – Benefits of methi seeds. Isabgol (psyllium husk) – This is one of the best way to get rid of constipation instantly. if you have been suffering from constipation for more than a day or 2, isabgol is your answer. just mix 1-2 tsp isabgol in a glass of warm milk and consume at bedtime for a week . this will not only relieve constipation but it will also help in regularizing your bowel movements. You may be interested in reading – Benefits of Isabgol. I hope now that your question of how to get rid of constipation is answered , you will make use of the given information to solve your constipation problem. It is advisable to include lots of fibrous foods in your diet to avoid constipation. Drink lots of water and include some form of physical activity in your daily routine. If you still suffer from constipation, try some of the above Natural home remedies for constipation and you’ll get instant relief. I really like the idea of having fruits and vegetables to relieve constipation as it is the natural way of relieving it. Unfortunately, it does not work with me when I got constipated. I have asking for an advice with my Doctor and fortunately, he prescribed me with this best reliever of constipation, Digestic from Mimonis. I was totally relieved when I started taking it. Hopefully this can help also to those who are suffering constipation. Hi I am 37 yrs old and have the constipation problem since birth of my first child. By the birth of my second child this has become worst.I tried all sorts of diets and medicine.Finally taking Ayurvedic pills for relief.Does these pills have side effects on my body. Please suggest and help. I am 29 year old boy. i am suffering from Piles and Constipation. i am very thin according to age. can i take isabghol regularly daily? is there any side effect if i take isabghol regularly long time? isabghol is a natural diuretic , there is no side effect of taking isabghol. so dont worry. you can continue to take it till you get relieved from constipation. pile correction requires greater insight. you need to figure out what is wrong in your diet and correct that. taking isabghol will give temporary relief but it will not correct your piles. 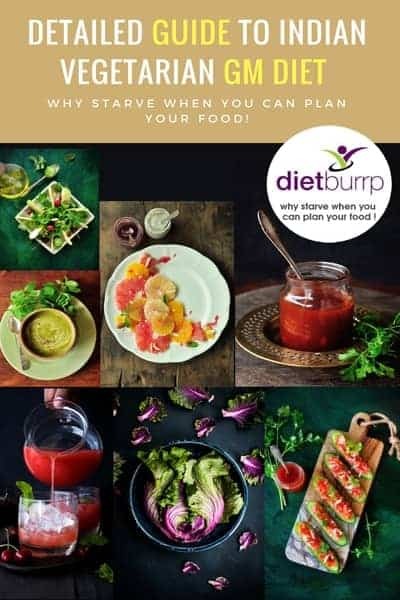 I am sorry , but we have halted our diet services till April 2016. if you can wait for that long , please leave us a mail at care@dietburrp.com and we will get back to you as soon as we resume with our services. Hi Payal..very nice post…i also have jhe problem of constipation occassionally…but can you confirm is it normal to have it while on GM Diet…I am on my fourth day today and following your non vegetarian version of GM Diet? I’m 62 years 178cms 98kgs, Male .Having right knee injured and unable to do any exercise . I tried different types of diets. For the last 8 months I was on High fat Banting diet. Reduced 6kgs but regained. I’m also a very constipated guy since childhood. Please advice how to reduce. Hi mam, I am 35 years old man. I am severe constipation and piles problem. I have hyperthyroidism problem. After advice doctor I am taking thyronorm 50 mcg and cod liver oil in regular basis. He also advices duphalac syp for 1 month. I used the medicine since 1 year. I also taking Baidyanath Kabzhaar and pirrhoids tablets when piles problem occurs. But last 1 month the constipation is very much trouble me and consequently piles problem rise. Now I am taking regularly natural laxative syp, sitcom tablets, Pirrhoids tablets, psyllium husk , cod liver oil capsules and thyronorm 50 mcg. Now from last day I am feeling well. But what can I do mam. Because if I stop these medicine the problems arises. I exprienced it earlier. Plz. Mam advice me. Hi mam, I am 5 feet 7 inches in height and my weight is 72 kgs. Mam I avoid fatty food last 10 days and I am not taking ghee since 2 years. Today iam feeling well. Last night I drink isabgol with warm water as you advice in sites. At morning I went for a long walk and after that I drink warm water with honey. After then I practising acupressure(cv6, cv12, St 36, Li 4, Li 11 , Li4) and after that I drink 2 glasses of warm water. After then my stomach signal for defacation. Then I went to the toilet and observed much better than earlier. Plz. Advice me mam and consider the earlier post in this regard. Thanks mam..
Hi Dilbar , you can then follow the same routine . this will help . Hi mam, can I drink psyllium husk with milk in daily night. Any side effects mam. no side effects . you can go for it . Hi mam, can I eat soked oats with sugar in breakfast. Or mam any other good preparation method? Plz. Inform me. I have been taking overnight oats(oats soaked in milk overnight along with apples nuts and flax seeds) for breakfast daily. Earlier I used to include cinnamon powder in it. Since I read tat cinnamon may cause constipation I stooped including it. I have lately constipation and hemorrhoids problem. I have started taking isabgol in the night. Is my breakfast routine causes this constipation problem? no definitely not. it is a healthy routine . dont worry about it . How can I made yogurt from milk? Plz inform me. I have hair loss problem since one year. But the rises now a month very much this thinning my hair. I have hyperthyroidism problem since 2 years. Madam plz help me for this problem. Thanking you. I have been following your blog for a long time its a good read. I need help to understand and find solution to my problem. I am facing a peculiar type of constipation. b) I face discomfort on some days ( frequency not fixed and I have not been able to identify triggers too) of incomplete clearance of the bowel and that leads to uneasiness feeling. Even gas passage is not easy and after 2-3 attempts with small stool passage situation improves. c) On such discomfort full day typically morning hours up to 10-11 are uneasy and in eve up to sleep is uneasy. I do regular exercise and considerably active. No big change in food habits or life style or work culture. Please suggest what should I do, should I get check up done or some home remedies. Hi,i am 7th month pregnant women and facing constipation problem from 1 weeks due to this i can’t sleep and sit well.please guide me what should i do?i am taking ispaghol and duphalic syrup from yesterday. I have pain when i pass urine and feel much pain when i try to pass stole but can’t success. takin isabgol with milk at night and adding 1 tsp ghee in this milk will help you in easy passage of stool and making the stool soft. you can also eat a cheese cube at night . this will help in forming soft stool . 2] If you are not using enough fat in your diet . so if you are completely off the ghee and oil , that can affect your stools, 3 tsp oil is the minimum requirement and make sure you have it . 3] If you are not eating enough soluble fiber .. like apple , oats . 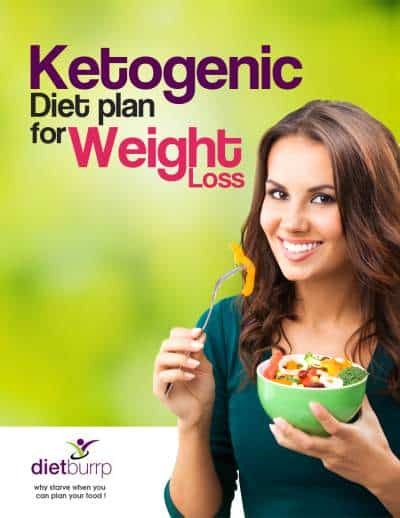 so include them in the diet . 4] You can start taking milk at night , it is high residue , and helps in forming soft stool. 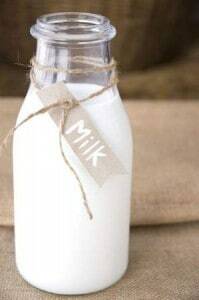 5] Start taking Isabghol at night with milk , this is the best way and remedy for constipation and helps wonderfully in forming soft stools. Hi mam, where can I get isabgol? It is avaialble at any medical shop or even local multi purpose stores .. if not you can order online .